We know you will love our stylish yet rustic interior with a warm friendly bar, a cosy restaurant and well-kept garden. The bar area is like a home from home, with a relaxed, friendly, and welcoming atmosphere. Happy Hour is from 4pm to 6pm every day. Families are welcome, and our garden area is totally fenced in, so you know the children are safe. Don't miss our family Sunday Lunch where smaller portions are available for children. Well-behaved dogs are also welcome in the bar area and beer-garden. 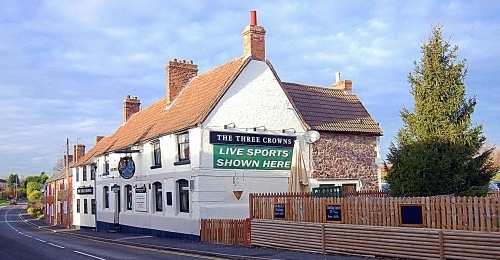 Copyright © 2009–2019 Carole Burton / The Three Crowns.